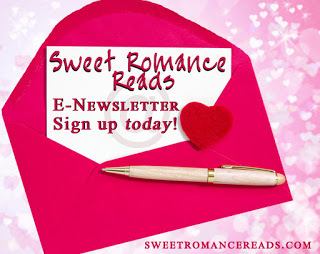 Sweet Romance Reads: Secret-Baby Stories — Love 'em or Hate 'em? 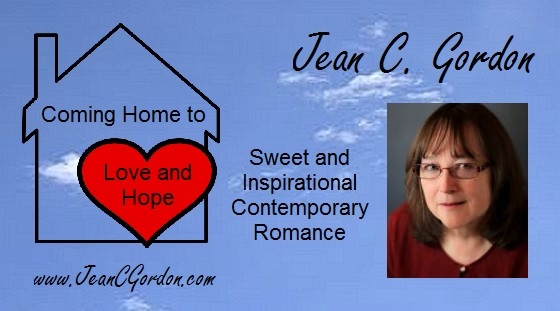 Romance readers seem to either love or hate secret-baby stories With this plot, before the book begins, a couple goes their separate ways without the hero knowing that the heroine is pregnant. (Sometimes the heroine doesn’t even know.) The couple could have been separated by war, controlling parents, a misunderstanding, etc. The story throws the couple back together. My January release from Harlequin Love Inspired, A Mom for His Daughter is a twist on the secret-baby plot. In it, the heroine's sister has kept her pregnancy secret from the heroine and given her child up for adoption. The heroine finds out about her niece in a deathbed letter from her sister in which her sister asks her to find the baby. The hero and his late wife had adopted the baby. How do you feel about secret-baby stories? If you're not a fan, maybe my excerpt from A Mom for His Daughter (below) will sway you. Widowed single dad Marc Delacroix doesn’t have time for surprises—especially one like Fiona Bryce. Finding out that she’s the biological aunt of his adopted daughter, Stella, is a big shock. 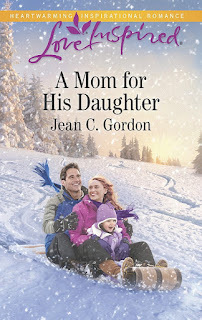 While Fiona’s commitment to the little girl appears to be genuine, Marc wonders if he can truly trust her—or his own heart, which he vowed never to risk again. Fiona’s eager to connect with the sweet young niece she never knew she had, but Marc seems determined to keep her at arm’s length’s. Could Marc and Fiona’s shared love of Stella be the bond that transforms their fragile connection into a real family? Everything Marc Delacroix had always thought he wanted rode on decisions he and his business partners would make in the next few hours. And he couldn’t care less. Oh, he’d gone through the motions yesterday of meeting with Fiona Bryce, the Cornell farm-to-table consultant. He owed his partners that much. They’d been picking up slack for him even before Cate’s death. The lump that formed in his throat when he thought about his wife didn’t choke off his windpipe anymore, which he guessed was progress. This Lake George restaurant launch his partners had sent him north for felt a lot like a get-yourself-together or sell-out proposition. He curled his lip. Maybe he should sell out. His cell phone jolted him from his thoughts. He glanced at the caller ID. Mom. Just what he didn’t need when he was rushing to get his daughter, Stella, dressed and to her first morning at preschool in Schroon Lake. But he couldn’t ignore her. She was his mother. “But she’s not quite three yet. So little for preschool,” his mother protested. While he listened to his mother’s opinion on Stella and preschool for the third time, his thoughts drifted back to yesterday. Although he only had a vague idea of what Fiona’s program could do, he’d forwarded her presentation with his positive recommendation to his partners. He’d been unexpectedly mesmerized by the woman—her features, her movements—and had paid more attention to her than to what she’d said. “I’m glad you’re taking an interest in your work again,” she said. More like an interest in my potential business consultant. But it was something. Better than the apathy that had paralyzed him for the past months. That was the drawback and blessing of having moved Stella from New York City to his hometown of Paradox Lake in the Adirondack Mountains. Lots of people always ready to help. Mom with her offers to take care of Stella. His twin sister pressing him to socialize, meet new people—Fiona, her coworker at the Cornell Research Farm in Willsboro, popped into his mind again—and encouraging him to get started on La Table Frais, his restaurant project. Cradling the phone between his ear and shoulder, Marc picked up Stella’s shoes, slipped them on her feet and pressed the Velcro fasteners. He was inclined to agree with his mother, but his youngest sister, Renee, a child sociologist, had convinced him that being with children her age would help get Stella up to speed with the age-appropriate behavior she’d fallen behind on. “It’s a play group for two- and three-year-olds. And Andie will be there.” His older sister was one of the teachers at The Kids Place, the childcare center at Hazardtown Community Church, where he and his family attended services. “Stella. Red,” Stella said, pointing at her belly and her red T-shirt in a basket of clothes he had folded, ready to put away. “Okay.” Marc hoped he wasn’t pushing Stella too hard. Her speech development had stalled since Cate died. But referring to herself in a baby-like third person was something new he’d noticed since they’d moved here last month. Stella scampered over to the basket, pulled off the shirt he’d put on her and worked at putting on the red one. He could imagine the expression on his mother’s face about letting Stella have her way. Marc grabbed his phone from his shoulder. But the counselor they’d seen downstate after Cate’s death had said to choose his battles with Stella, and he wasn’t about to do anything to set her off before he even got her to The Kids Place. “I don’t want to upset her, Mom. She had a meltdown yesterday at the grocery store. Someone Stella didn’t know said hello to her, and Stella went ballistic. You know how reluctant she can be about talking to new people.” Or anyone other than him—even his family. Yeah. A playdate with his toddler cousin wasn’t likely to be at the top of seven-year-old Robbie’s wish list. “I need to go, Mom. I’ve got work to do after I drop off Stella.” He strained to hide the catch in his voice on work. How many times had he said that to Cate, to Stella, thinking there would be time later? Then Cate was dying, and there were no more laters. He turned. Stella had her arm through the head of the shirt. “Thanks, Mom.” But he was the one who ought to be there for his daughter. “I’ll let you know. Bye. Hang on, sweetpea. I’ll give you a hand.” He pulled Stella’s arm out of the head hole, and she slipped her arms in the sleeves. “Yep. Good job.” Edginess fired through his veins. He could only hope he was doing as well. “Church. Singing,” Stella said a few minutes later when he pulled into the church parking lot and stopped in a space near the church hall. His wife’s beautiful voice singing “On Eagles’ Wings” with their church choir floated through his head. Stella had loved Cate’s singing, so much so that he’d avoided taking Stella to church after Cate’s death for fear the music would set Stella off. Regret squeezed his chest. But he couldn’t avoid church services here. Nor did he want to. And Stella had been fine when they’d attended church with his parents last week. The corners of Stella’s mouth turned down. “But we’ll see. There might be singing.” He lifted her from the car. He set her down and took her hand. “Okay.” Slowly, they made their way to the hall door. Marc opened it. “London Bridge is falling down, falling down…” A group of preschoolers was playing London Bridge in the hall. “`Kay.” Stella’s voice lacked the enthusiasm of a minute ago. Andie walked over to them. He held his breath when she crouched to Stella’s level. “Remember, Daddy has to work this morning.” He planned on talking with his partners. “You can color with Aunt Andie.” The counselor had told Marc that the little girl might feel more secure with him telling her what to do, rather than asking—at least for a while. Stella stared at him silently for so long his heart stopped. Then she nodded and took Andie’s hand. “She’ll be fine,” Andie said. “Right.” He resisted looking back at Stella as he left the hall. Stella knew Andie. Andie was great with kids of all ages, and she had his number if there was any problem. Marc dragged his feet walking out to the car. He needed to occupy his mind with something more than concerns about Stella. That fixation wasn’t good for her or him. He’d taken his first reluctant step yesterday toward an opportunity he would have jumped at in a New York minute two years ago. Marc wanted that excitement back. For too long, he’d been plodding through life placing one foot in front of the other. He made his decision. He needed to get in the race again, call Fiona and let her know she could write up a consulting contract for La Table Frais. His partners would probably celebrate his taking the initiative to make the decision, rather than waiting for their approval. Sitting in the driver’s seat, he thumbed to the Cornell Research Farm’s number on his phone, picturing Fiona, her coppery curls, wide-set hazel eyes and vivacious mannerisms. She was a stunning woman, and the first woman he’d noticed since Cate had died. If he were honest with himself, that scared him. He closed his eyes. His main focus still had to be Stella, but to be what his daughter needed, maybe he needed something for himself. He didn’t have to throw himself into the new restaurant twenty-four seven as he had with his work in New York. And having an adult relationship, a non-pressure business relationship that had nothing to do with his daughter, might give him a balance between family and work. Great excerpt, Jean, and wonderful twist on the secret baby story. Thanks for sharing. I've done a few secret babies myself--in stories ONLY!!! Love the twist. The story sounds wonderful.